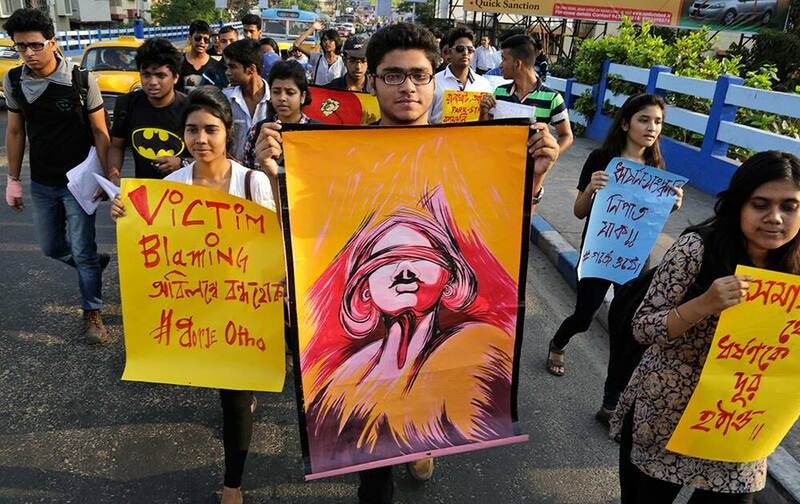 Students participate in a walk protesting violence against women in Kolkata. 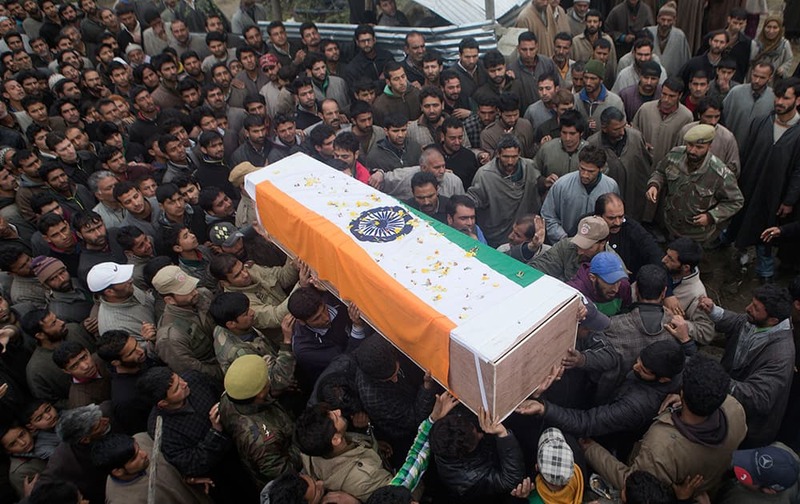 Kashmiri villagers carry the coffin of Mohammad Shafi, an Indian policeman killed in a gunbattle, during his funeral procession in Chenabal, some 21 Kilometers north of Srinagar, Kashmir. 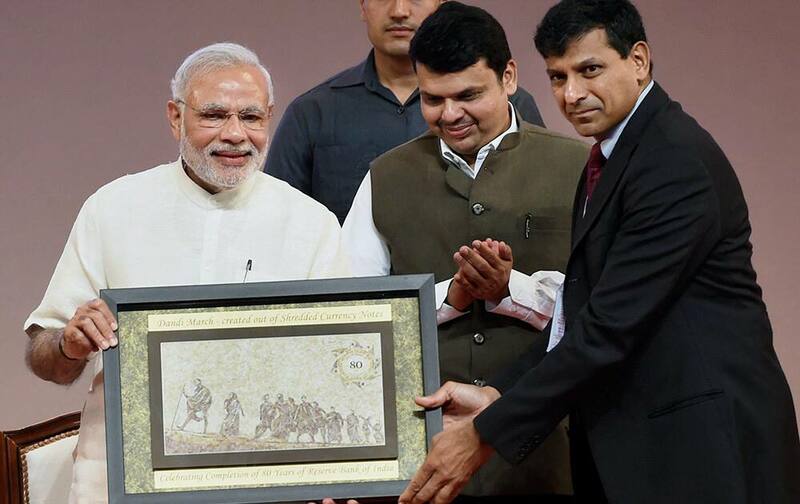 RBI Governor, Raghuram Rajan presents a memento to Prime Minister, Narendra Modi during the 80th anniversary celebration of Reserve Bank of India in Mumbai. 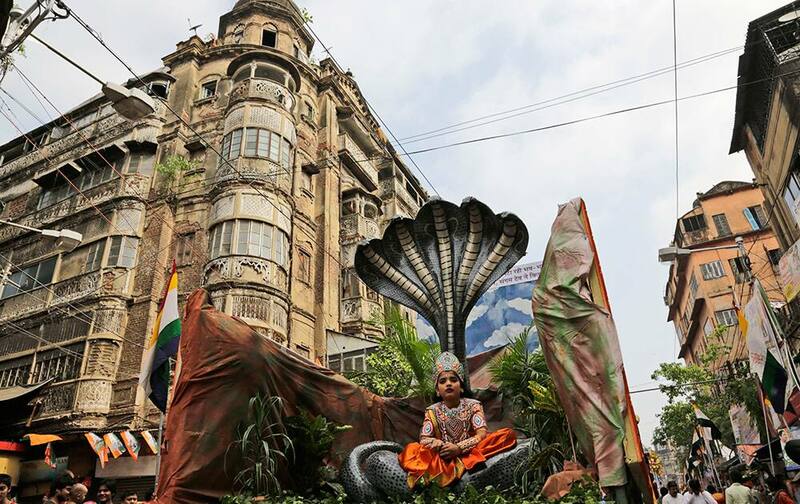 A child dressed as Hindu god Krishna sits in a tableau as it rolls past an old building during a procession marking Jain festival, Mahavir Jayanti in Kolkata. 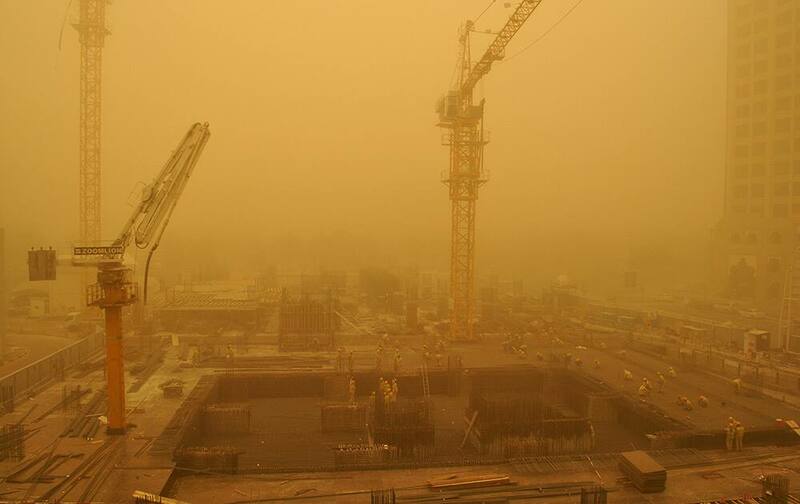 Migrant laborers, some wearing face masks, work on a construction site during a sandstorm in Dubai, United Arab Emirates. 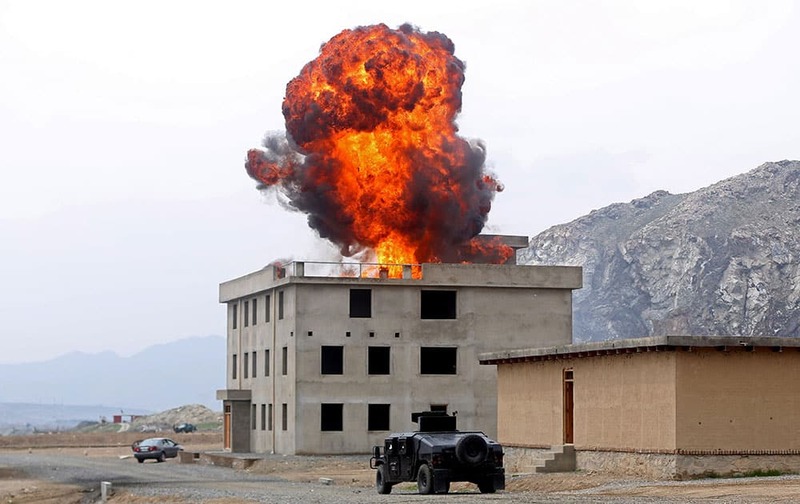 Smoke rises after an explosion during a military exercise in Kabul, Afghanistan. 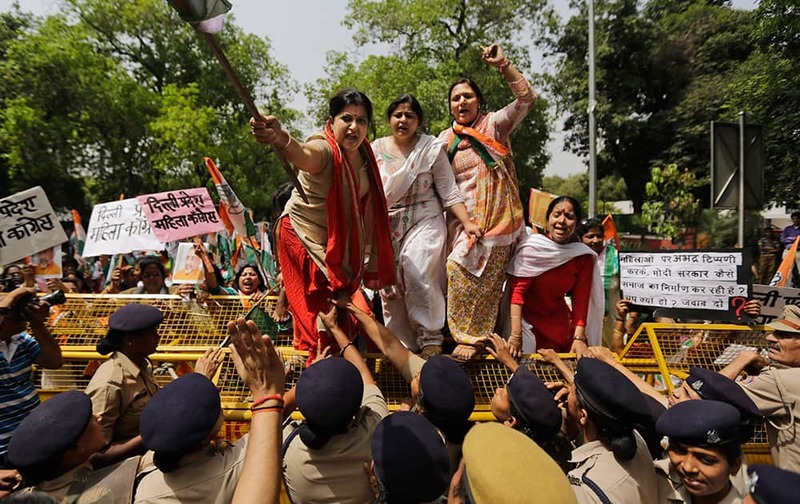 Activists of India’s opposition Congress party’s women’s wing climb police barricades and shout slogans against the ruling Bharatiya Janata Party (BJP) during a protest outside the BJP headquarters in New Delhi. 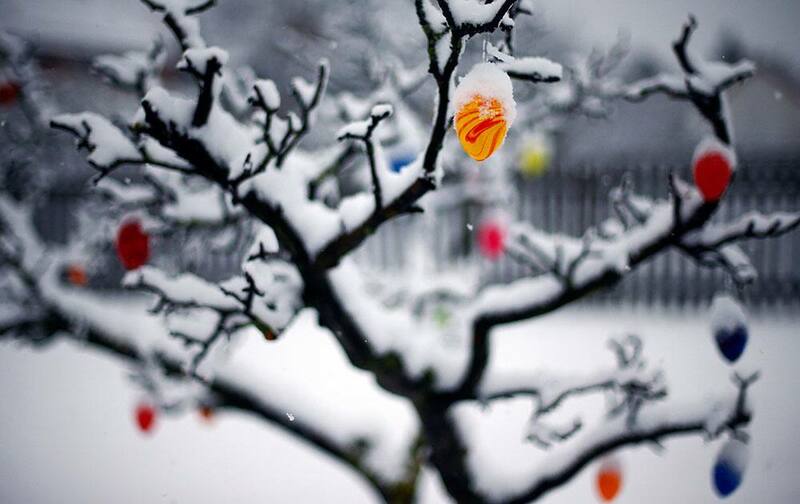 Snow covers Easter eggs on a tree in Wernigerode, eastern Germany. 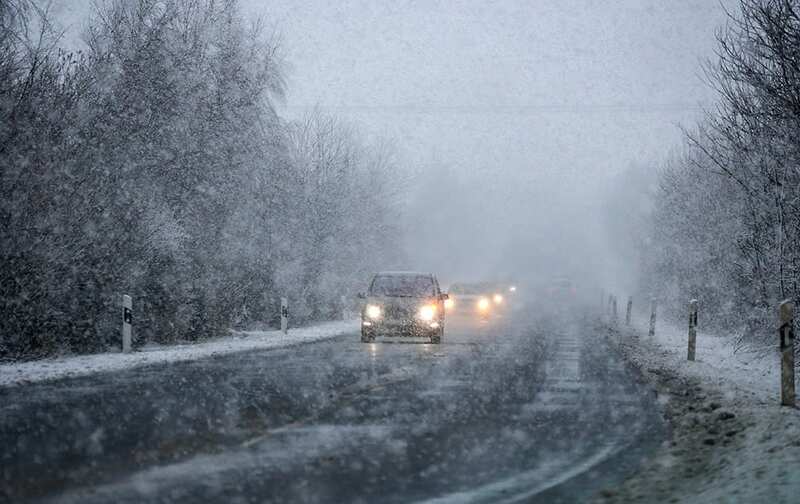 Cars drive through heavy snowfall near Wernigerode, eastern Germany. Models pose with a Kia Motors' concept car Novo during a media preview of the Seoul Motor Show in Goyang, South Korea. 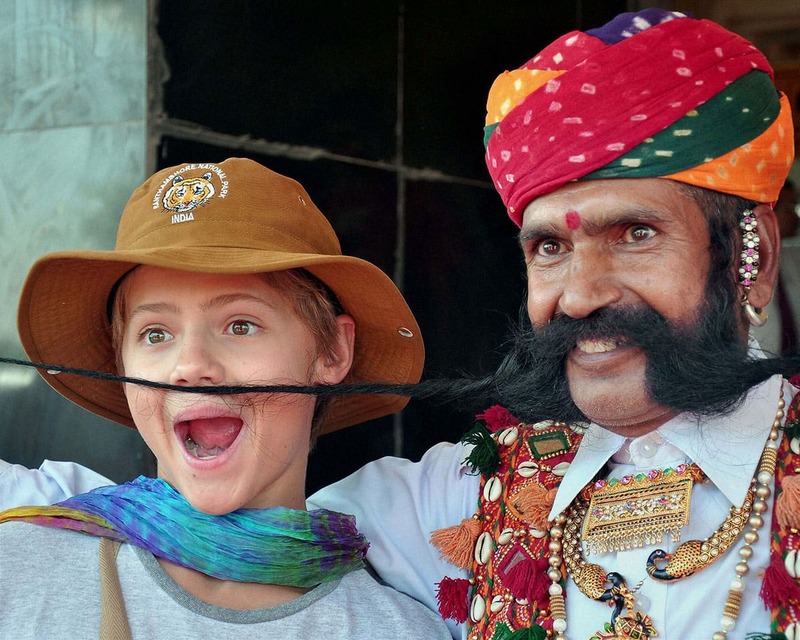 A tourist is being entertained by a Rajasthani artist on her arrival by Maharaja Express train in Bikaner, Rajasthan. A woman greets her relative who arrived at Chhatrapati Shivaji International Airport in Mumbai. 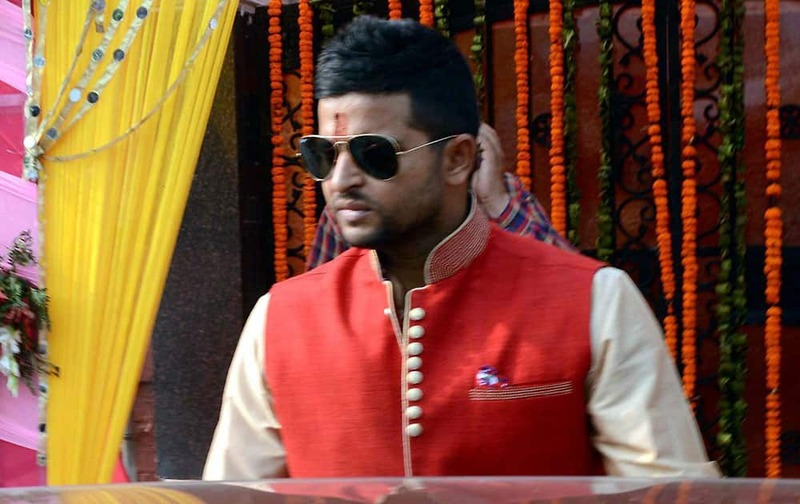 Cricketer Suresh Raina during his engagement ceremony at Rajnagar in Ghaziabad. 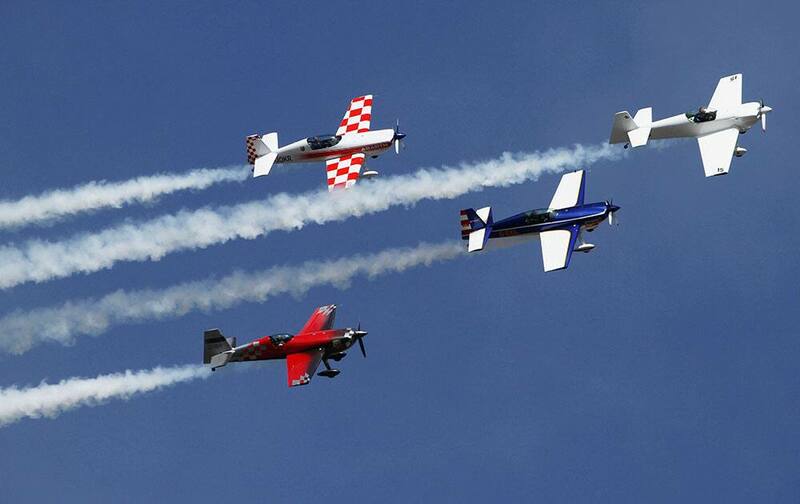 Aircrafts of the British aerobatics team Global Stars perform during the inauguration of an air show in Ahmadabad. Legendary athlete Milkha Singh gives autographs on the T-shirt of a child during a programme to start sports education among school children in India. 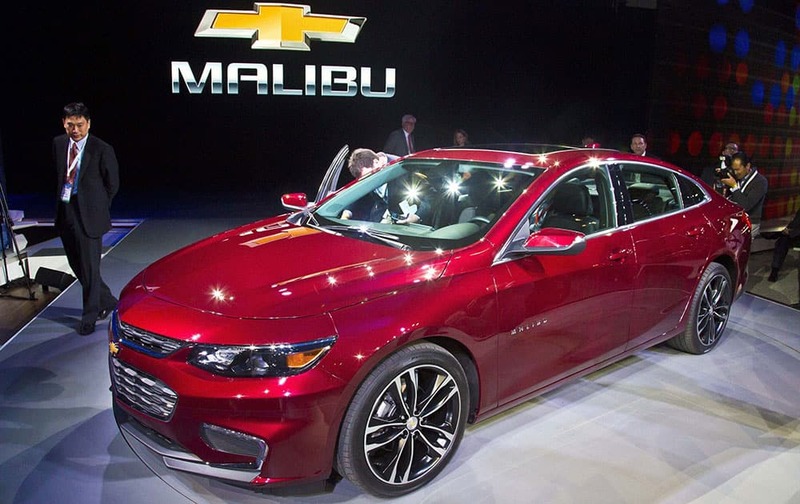 The 2016 Chevrolet Malibu Hybrid, which uses technology from the Chevrolet Volt, is introduced at the New York International Auto Show. 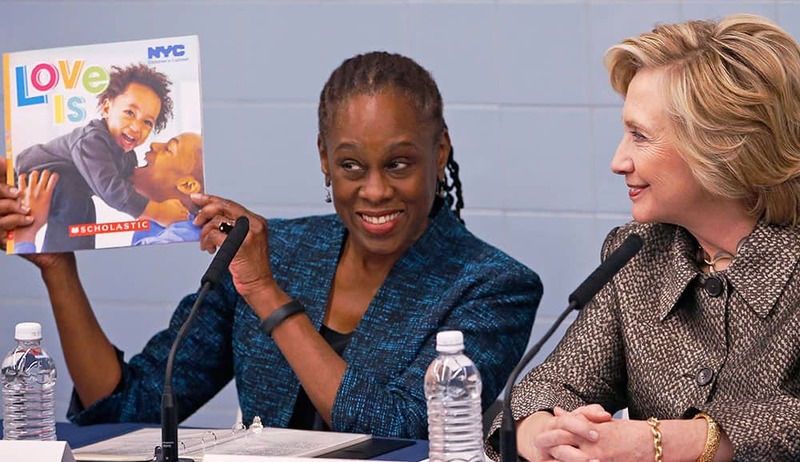 Hillary Rodham Clinton watches as New York City's First Lady Chirlane McCray holds up a booklet that is to be distributed to parents to encourage them to talk to their very young children during a visit to First StepNYC, an early childhood development center in the Brooklyn borough of New York. Shiite rebels, known as Houthis, hold up their weapons to protest against Saudi-led airstrikes, during a rally in Sanaa, Yemen. 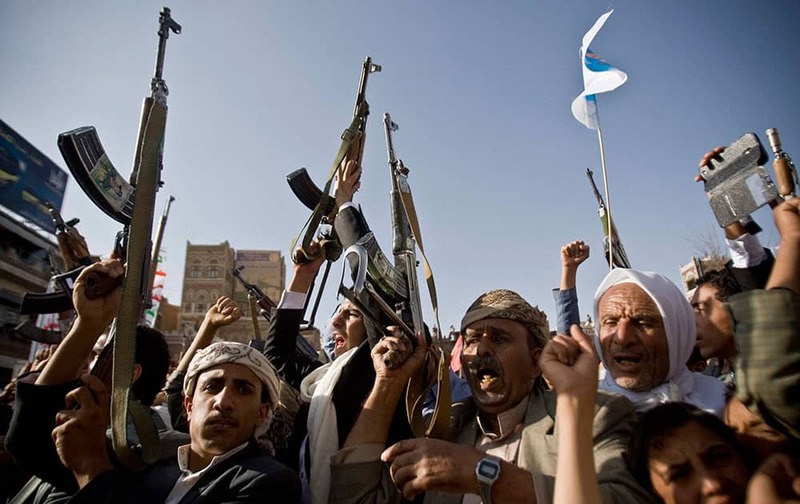 Saudi-led coalition warplanes bombed Shiite rebel positions in both north and south Yemen. 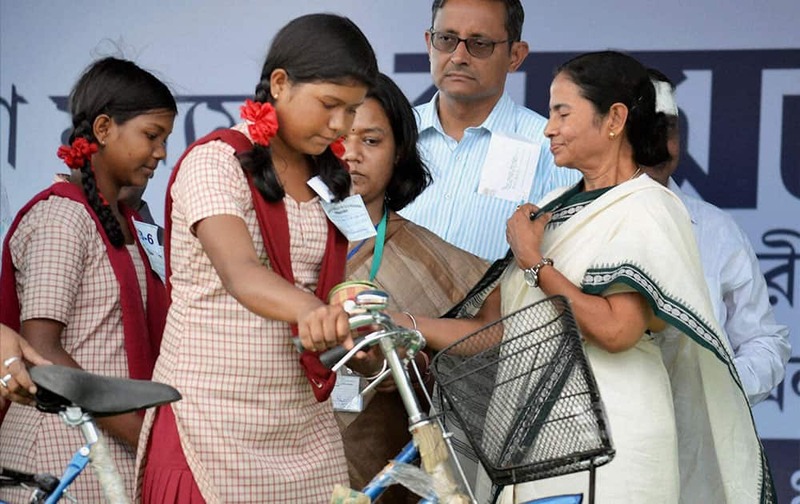 West Bengal Chief Minister Mamata Banerjee presenting bicycles to girl students under a government programme at Birpara in Alipurduar district of West Bengal. 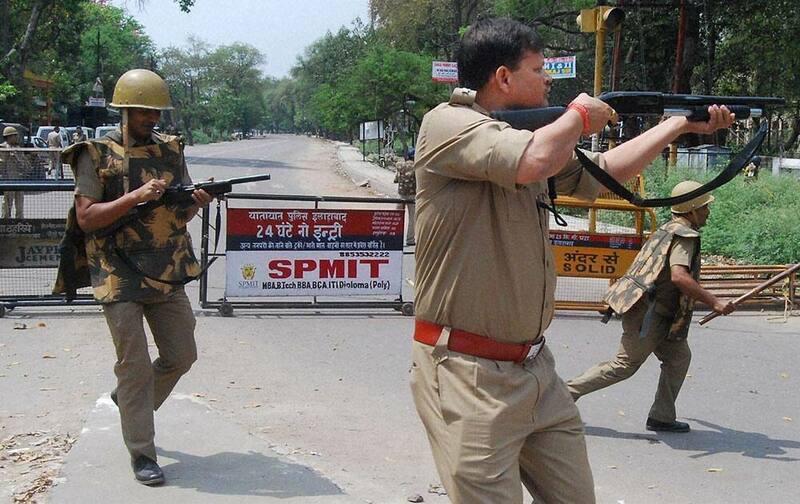 Policemen open fire on students during the protest against leaked question paper of UP PCS (pre)-2015 in Allahabad. 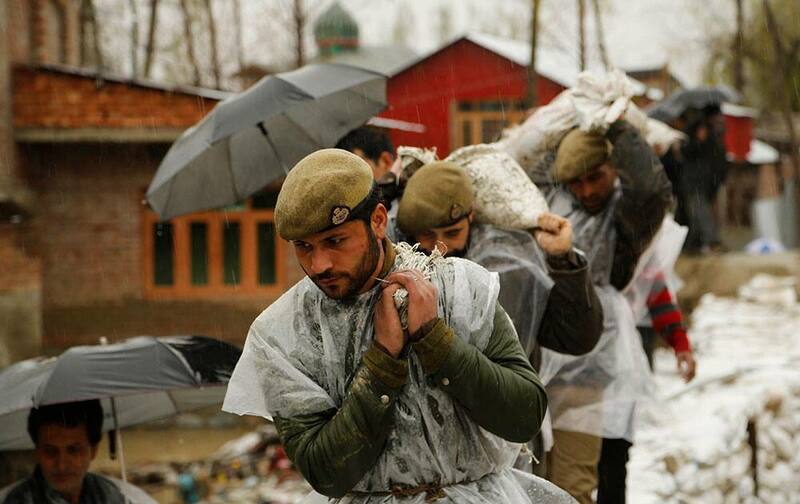 Jammu and Kashmir policemen carry sand bags to repair a breach in an embankment in a flooded area of Srinagar, India.